Available for 12pcs bulb etc. 1.The basement should support a burden of 500kgs. If the height of the ceiling is more than 3.2m, one extension rack should be added (it can be specially made by us). 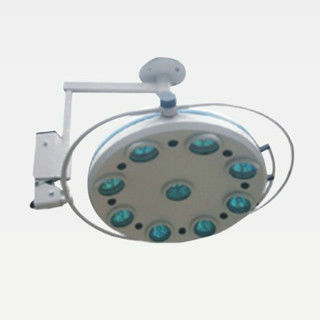 2.Please contact with the factory for any special requirements in installation. Meanwhile, we take the job for installation. 4.The safety service life for ceiling type operation lamp that is the product of hanging weight from a height is ten years. 5.If any changes in the function and standard accessories of the products, all should be subject to the product instructions.